The Peel Regional Police Association banquet hall and lounge is fully licensed and available for your business meeting, seminar, reception or family function. Rental of our lounge only, is the perfect setting for a small cocktail party of up to 100 guests. We have a number of catering companies we recommend that are familiar with our facility and they will tailor any menu to your needs. A variety of menu choices are available for every occasion from a casual barbecue or buffet meal to fine dining and table services. 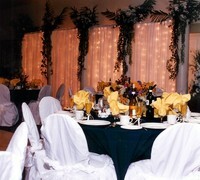 They can also assist you with your other catering needs such as linens, tableware, etc. Our rental rates include tables and chairs set up to your specifications, bartender, bar glassware and taxes. LCD projector/drop-down screen available at a nominal fee. 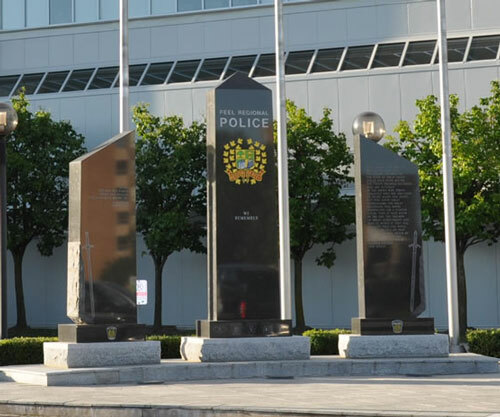 The Peel Regional Police Association is located at 10675 Mississauga Road - 2 kilometers north of Bovaird Drive. Easy access to the 401 and 407 makes our location convenient and accessible to the GTA area. 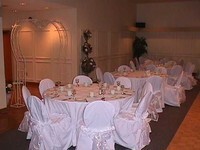 The facility is ideal for wedding receptions, anniversaries, birthdays, business meetings and seminars. The Association facility is set on over 20 scenic acres—giving it a country atmosphere with all the conveniences of the city. 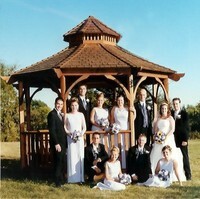 Our onsite gazebo is a perfect backdrop to complement your wedding ceremony or photographs. Monday— Friday 8:30 a.m. to 4:30 p.m. Arrangements may be made to view the facility on the weekend.